There is a feeling in the air that Jose Mourinho is up to something – as always - which may well bring his tenure to a premature end at Manchester United. Whereas his style of negotiation may have been a workable modus operandi with Florentino Perez at Real Madrid and Roman Abramovich at Chelsea. It won’t really influence the Glazers one fears. So, he is underestimating his power and track record given the last Champions League victory he recorded is back in 2010. Currently, in terms of success versus spending at United he will be not giving the bean counters much comfort either that he knows exactly what he is doing. His value in recent years enhanced by his partnership with Jorge Mendes and that promise of top players coming to any club he manages. Though at United that has not been the case….as Zlatan Ibrahimovic, and Romelu Lukaku are hardly worldclass in the sense that Lionel Messi, Ronaldo, or Neymar are classed. But that he blames that shortcoming on a lack of sufficient budget at Old Trafford. But did he really need to sell Wayne Rooney? Although these players have proved his nightmare over the years he has also been busy buying them back at times. Which makes you wonder about the nature of these deals. Regardless it was Ed Woodward, CEO of Manchester United that insisted on Jose as the choice for the club. Against Sir Bobby’s recommendation and better judgement. In the end perhaps the absence of alternatives made it a one-horse race. Also, the post Louis Van Gaal hangover perhaps requiring a big name to overcome that David Moyes phase so as to retain commercial attractiveness for sponsors. However van Gaal and United didn’t recover from the Moyes era either - which only compounded that fractious post Ferguson period that highlighted the lack of proper continuity planning. Although van Gaal having little or no money and playing a defensive style, was always going to make the United fans restless. Though he was a good choice for pragmatic football at a club at the time. But he ended up lost at sea and talking nonsense His compatriot Guus Hiddink would have been the better temporary choice if the Board were in doubt. The root of the problem though really is with Sir Alex Ferguson, who stayed on too long and was allowed manage his legacy too extensively. Even choosing his own successor. Hardly acceptable under standard corporate governance protocols. Hence, he did not encourage anyone who would occlude his achievements too quickly and always wanting to remain the overseer. Who would be asked back - like Si Matt Busby - and intercede in times of trouble. His dinner meetings with Pep in New York highlighted that he knew what the right decision was perhaps; just couldn’t actually allow himself to be selfless. Which opened the door for Karl Heinz-Rummenigge to turn Guardiola’s interest towards FC Bayern… and all at very short notice. Then Manchester City through Txiki Beguirstain (a former teammate) were able to get Pep to England and keep the Blues as the more successful club in that divided city in recent times. Where also money has been no problem. Although Pep rarely complains about that stuff publicly anyway and lets his results speak for themselves. As usual the money issue resolves itself in successful times. 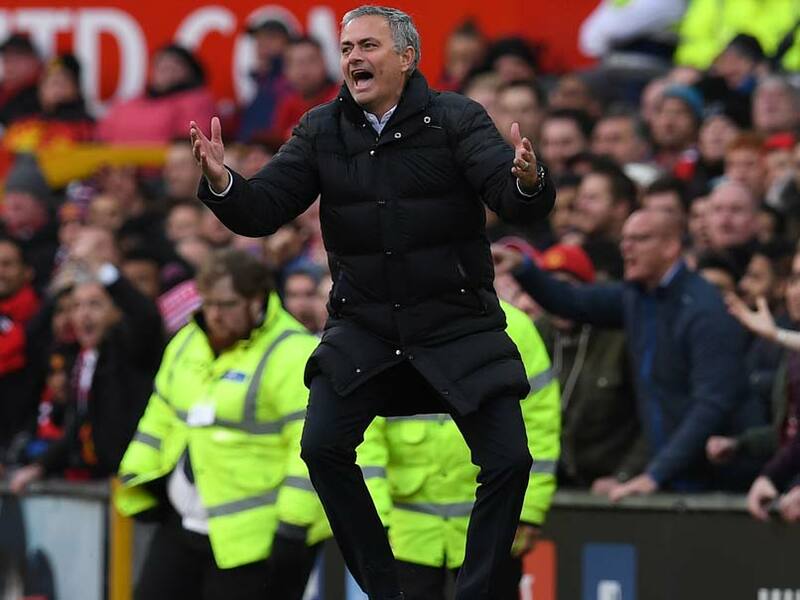 Now he is United’s biggest nightmare….. and Jose’ is reliving that rivalry from his time in La Liga when Barcelona rang rings around Mourinho’s Madrid. Perhaps Mourinho would have been better at Arsenal, who still languish in search of those halcyon days of Arsene Wenger's best years. At The Emirates Mourinho would have had less pressure, less expectation and would have been allowed to go about his business in his own narcissistic way without complaint. Bringing the club back into high profile no doubt under the radar, allowing Mourinho live in London with his family and enjoy the greater anonymity such a city offers compared to Manchester. At Porto he was a nobody when he won the Champions League… and when he arrived at a confused Chelsea the first time they were delighted to have someone bring shape and order… and then results. The same at Inter Milan, a club struggling against more successfully local rivals AC and a ragged outfit of older professionals. He left the cub with three titles, in order to go to Real and complete a treble of Champions League titles at three different clubs. Or at least he hoped to do so so and join a smaller couterie of football managers who have achieved likewise. However there was a destructive force at work in the end at Madrid and Mourinho proved unable to manage an organisation, which was always going to be larger than any one individual. Then on his return to Chelsea he only lasted months. As with Real Madrid the arrival at United proved that although he likes media attention he cannot really operate under heavy scrutiny when there is much expectation. In the end he is not that special it seems and wilts with the constant demands on his teams. These recent rants in the Premier League about money, referees, the unfairness of life were amusing for a while to the media. But no longer so it appears if one gauges the current headlines. Especially by a professional manager - be it in any activity - and at the rate he is being paid. In fact these days he seems lost in the parade. At odds of with the game offering a stye that is now dated, static and incapable of surviving a modern format of five midfielders and fast attacking wing backs. If PSG are serious about taking Mourinho they’re over indulging him and should perhaps phone the Glazers first for a reference.